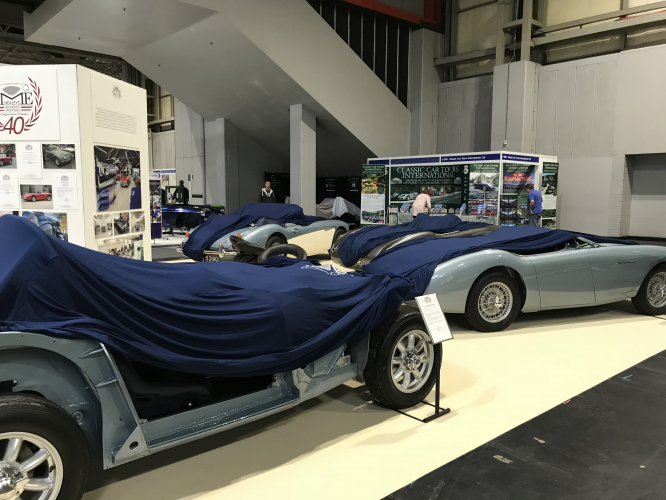 The NEC Classic Motor Show is always the last show of the season for us here at Classic Additions. 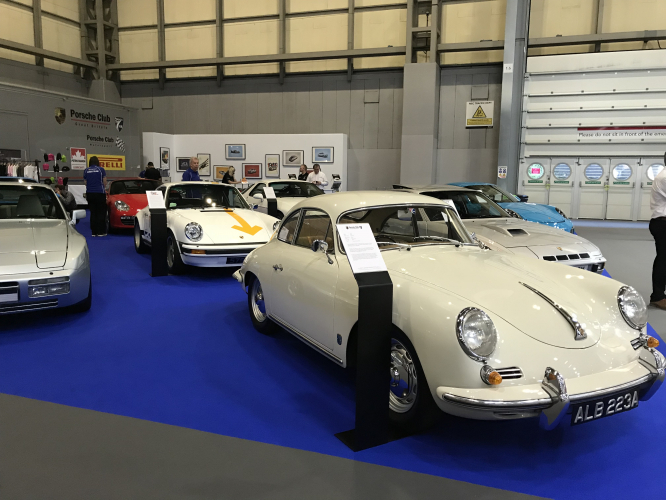 This year we were on our usual stand, 1-147 in Hall 1 which is just across from the entrance and not too far from the bottom of the stairs into Hall 2. We arrived on Wednesday, in plenty of time to start setting up for the show. 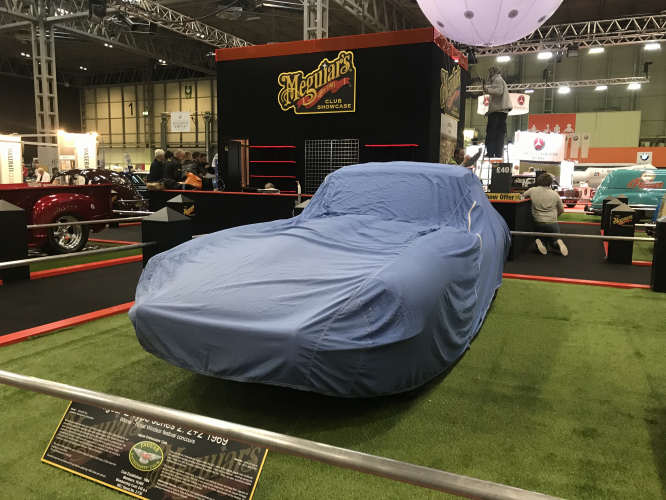 We took three cars with us to the show and this year we were showing three different covers from our range. We had the Custom Made Indoor on a 2015 Ford Mustang V8 Convertible. 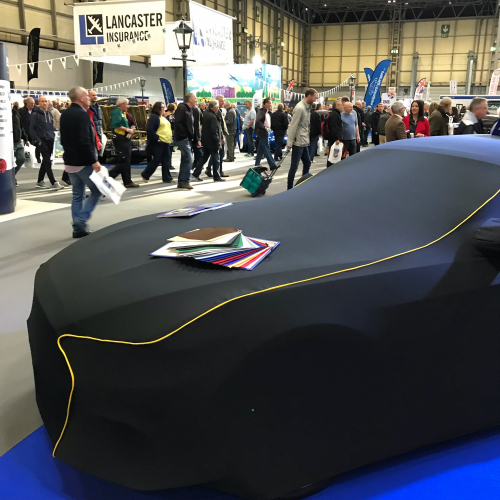 This cover caused quite a stir, as it was all black with striking yellow piping; we even gave it a unique piping line around the headlights which looked really fantastic. This cover also got people guessing as to what was underneath! 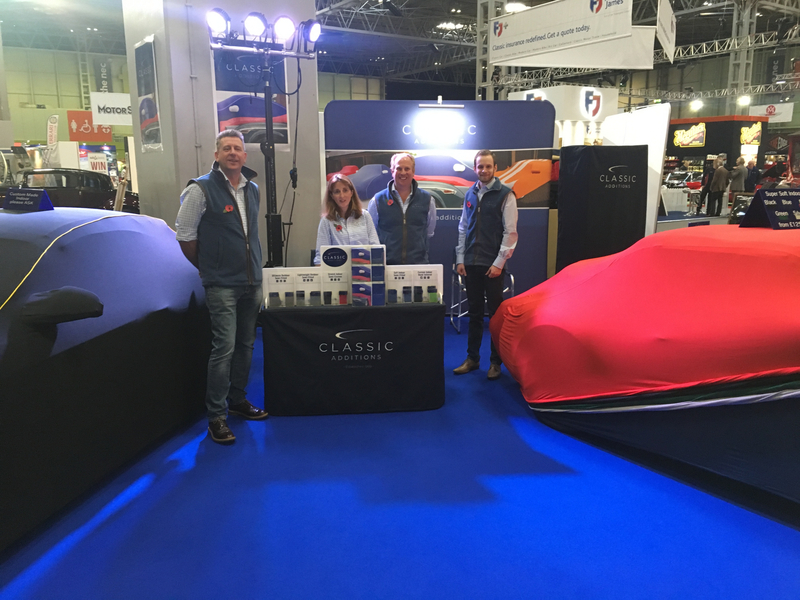 We had all five Super Soft Stretch colours on display on a Porsche 993, which looked really great and we had such great feedback for how soft they are on the inside. The final cover, the Ultimate Outdoor, was on the BMW E30 Convertible. This size M Ultimate was a great fit on the car and customers were really impressed with its quality. The whole stand looked great, and we were really thrilled to see so many returning customers. 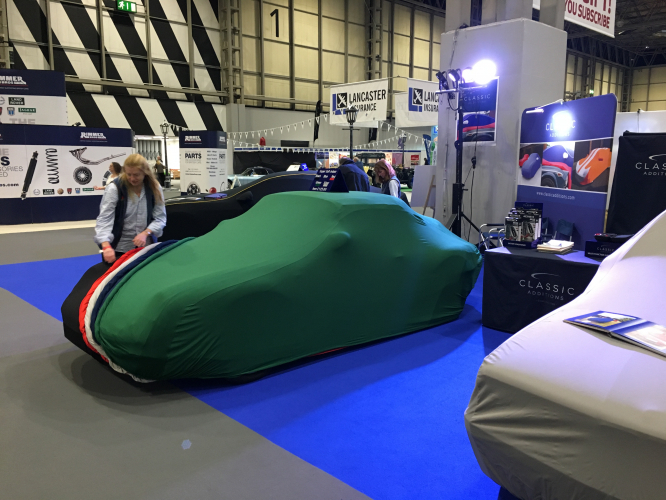 We were really busy all weekend, selling both our standard fit products and taking orders for our Custom Made Indoor covers. 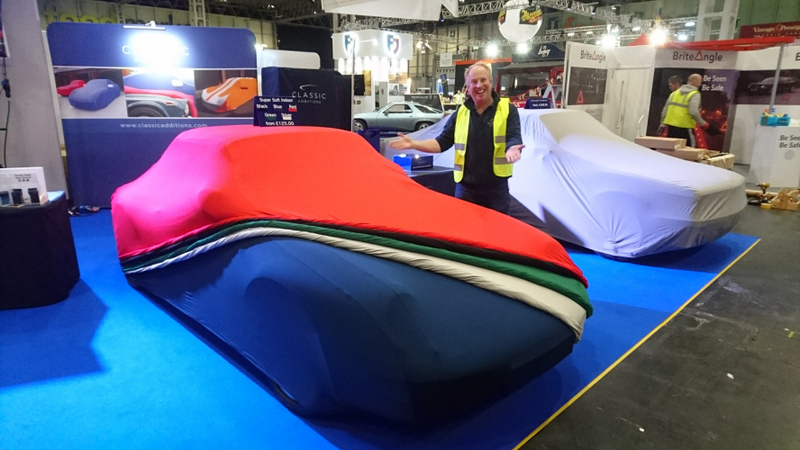 The covers were really flying out the door – to the point we had to sell one of the display covers! 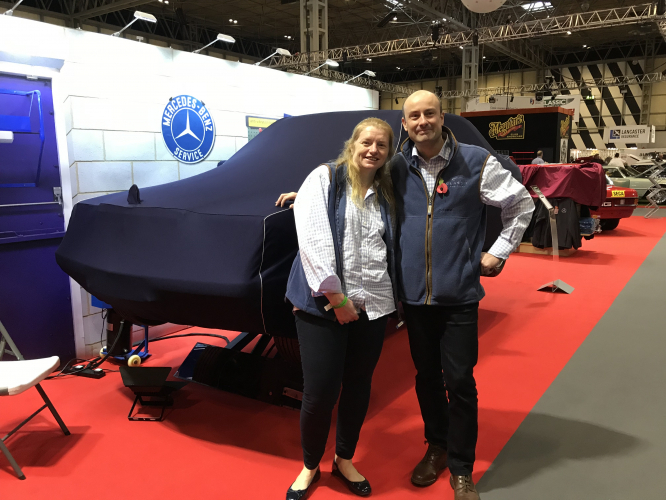 We are lucky to have a great team and such support from all of our customers, so thank you all for making it one of our busiest NEC shows yet. 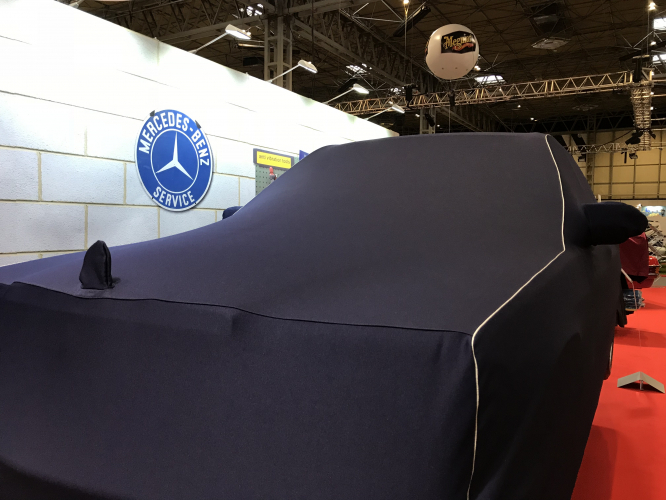 We were also really delighted to see our covers being used on many different stands at the show. 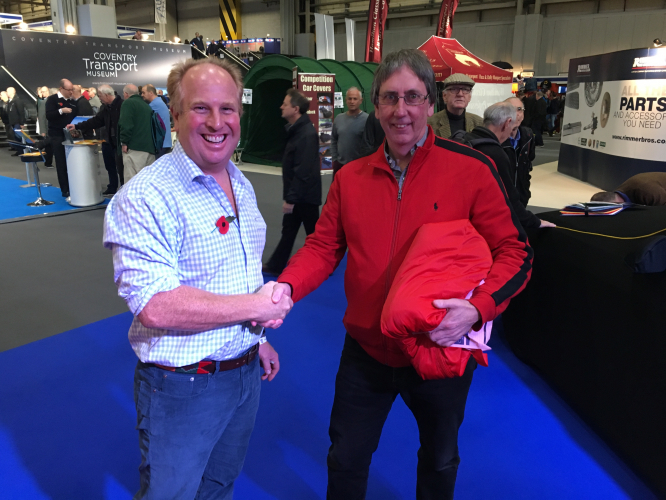 We even saw a couple of our original Soft Indoor covers that were over 20 years old! Take a look at some of the photos below. We now can’t wait for the first show of 2018!